When it comes to buying Jewellery for someone, be it a loved one, a friend, a work colleague or even for yourself, for me, there are elements of that experience which matter and that is whether you are buying someone online or in person in a shop. Bradbury's The Jewellers can be found in the West Yorkshire town of Halifax, it is an independent family run business who take pride in everything they do and that includes bringing traditional values in customer service, honesty and value. The store is home to some of the most premier brands that you will have come across - Links of London, Michael Kors, Thomas Sabo, Folie Folie and many more. I was kindly gifted a beautiful Coeur De Lion Peach Crystal Bangle and the wow factor began as soon as I had opened the outer packaging. As I said, there are elements of that shopping experience which matter and Bradbury's have all of that - the eye for detail, the thought process and the love and care that goes into ensuring a gift looks as good on the outside as it does on the inside. 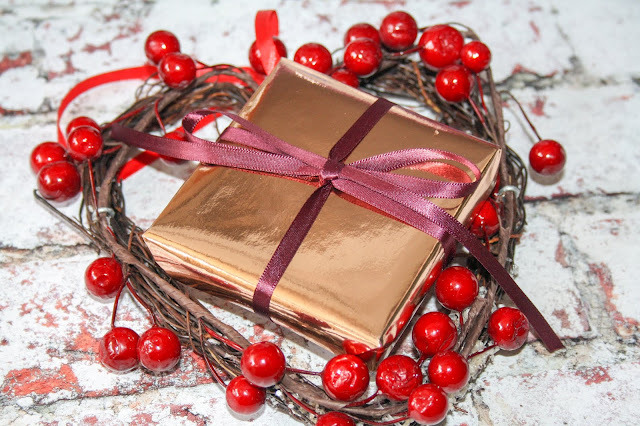 Beautifully wrapped in rose gold paper with an accompanying ribbon, neatly bowed, there was no giveaway as to what was inside, there was no view of any cellotape or other fastenings and someone had clearly taken the time and effort to ensure everything was just right. Coeur De Lion jewellery is handmade in Germany and it is a brand I know a little about through a relative of mine who adores the Geocube design on some of the jewellery pieces. Behind the brand, which has just celebrated 30 years in the business, we have Carola Eckrodt and it is her love of materials that must be versatile, hard wearing and enduring which brings to life a whole host of beautiful statement pieces of jewellery, all of which is made by hand. 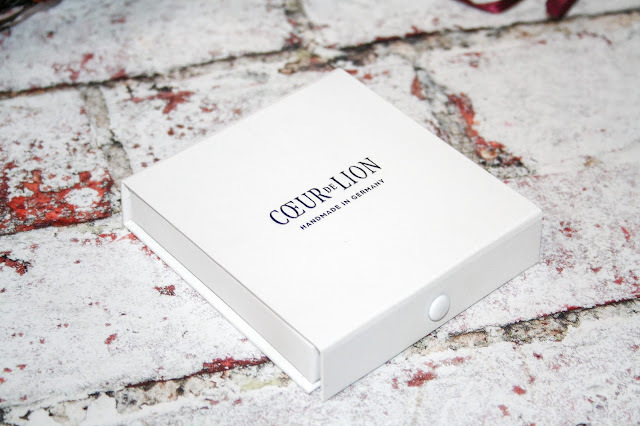 Putting together both Coeur de Lion and Bradbury's the Jewellers, you have two brands that complement and match each with the love for what they do, the love that goes into the process of ensuring the end result is perfect and one to whom the little details matter. 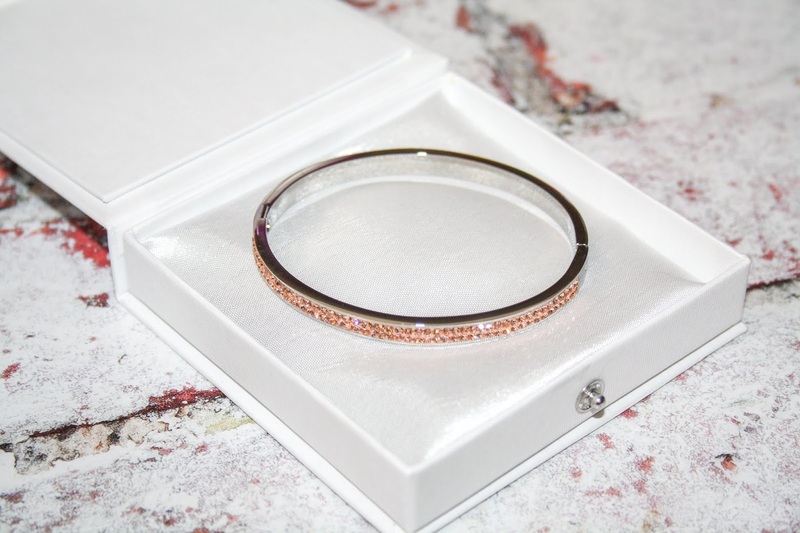 The Coeur de Lion Peach Crystal Pave Stone Set Bangle is made of stainless steel with crystals in a pavé setting and an integrated click closure. opening the box, you find the bangle sitting on a pure white silk cushion. 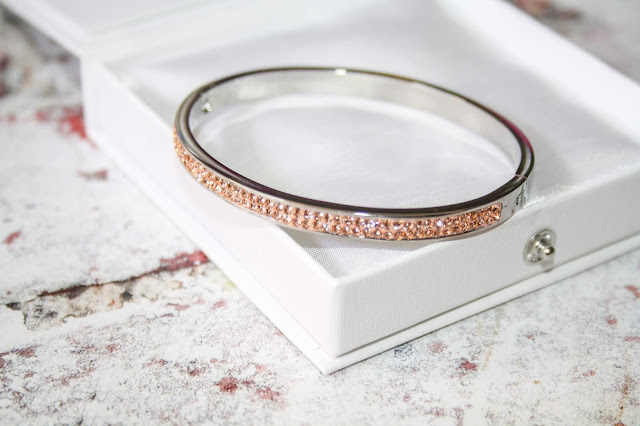 This modern bangle has a highly polished finish and is enhanced by two glistening rows of peach coloured crystals which add a glamorous sparkle. I am a big fan of shopping online, the ease of everything being in front of me, the lack of queuing and no tripping over baskets winning me over. That said, a website has to be easy to navigate around and thankfully the website for Bradbury's Jewellery is incredibly crisp and clean. There aren't a billion pop-ups to interfere with browsing, there is also the ability to look closely at individual pieces of jewellery is amazing, the detail is there to see, the images are clean and of high resolution, this is down below with the photograph of the bracelet I have. Every page loads quickly, the important points are visible - price, what the item is, when it will be dispatched and whether or not you would like gift wrapping. I have spent quite some time looking around the website whilst writing this review and might have already put one or two things in my shopping basket! If you are looking for jewellery gifts, then I would recommend having at a look at what Bradbury's have to offer, there are so many beautiful items. 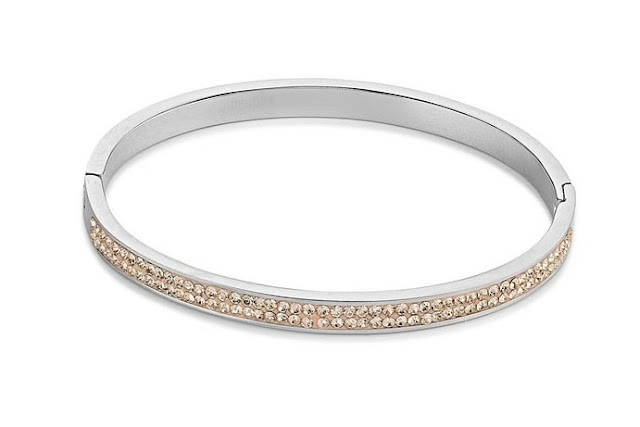 This is such a gorgeous bangle. Would make a great gift this Christmas! Oh wow that is beautiful! SO so pretty! This looks blooming gorgeous and I have to say I am a big fan of companies that put effort into the packaging as well. It’s one of the things that gets me coming back for more. It's so pretty! The packaging is beautiful too. Those little touches are so thoughtful. That is such a beautiful bracelet. That bracelet is beautiful, so so beautiful!